The AromaTouch Technique is a simple yet powerful way to provide every individual with an essential oil experience. While the main purpose of the technique is to apply the oils and provide the recipient with an essential oil experience, the AromaTouch Technique is also about connecting with another person on an emotional level. The connections developed through this technique form feelings of trust and help the recipient relax. Balance Chakras with Essential Oils & Crystals; keeping vital energy flowing! Balanced chakras allow energy to flow freely, promoting health, vitality, and harmony. Using crystals and pure essential oils together creates a healing process to clear, rebalance and energize the mind, body, and spirit. Individual clearing sessions and classes to develop your own intuition around these powerful tools are available. Reiki is an energy healing method that is usually done by placing the hands in a series of positions over or slightly above the body. Reiki promotes healing by activating the relaxation response and helping the body to balance itself from a very deep level. 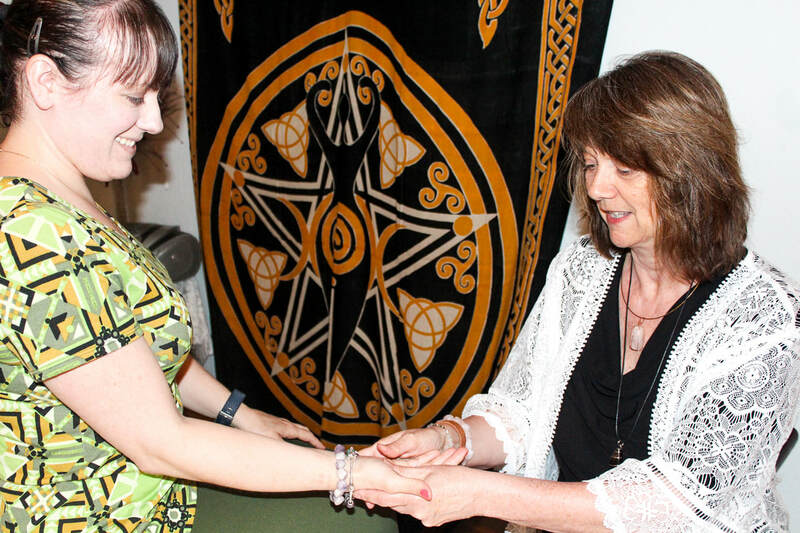 Reiki allows positive energy to flow into the body through the hands of the practitioner and that this balances and heals the energy in the body. A session involves the client either laying on a massage table or sitting in a chair fully clothed minus shoes. A typical session lasts 30-90 minutes. Classes are available for those wishing to learn how to give Reiki sessions. Reiki is simple and easy to learn; anyone can learn it, and there are no prerequisites. Once you’ve learned, you can give Reiki to yourself or to others. Teacher training classes are also available.